Nordic Ware has been a leader in cutting-edge kitchenware products for over 60 years. The family-owned company manufactures a wide variety of hundreds of products—ranging from bakeware and kitchen utensils to bundt pans—to enrich the lives of customers by making the process of preparing food convenient and fun. It’s also one of the few remaining e-commerce companies that produces its products entirely in the USA. 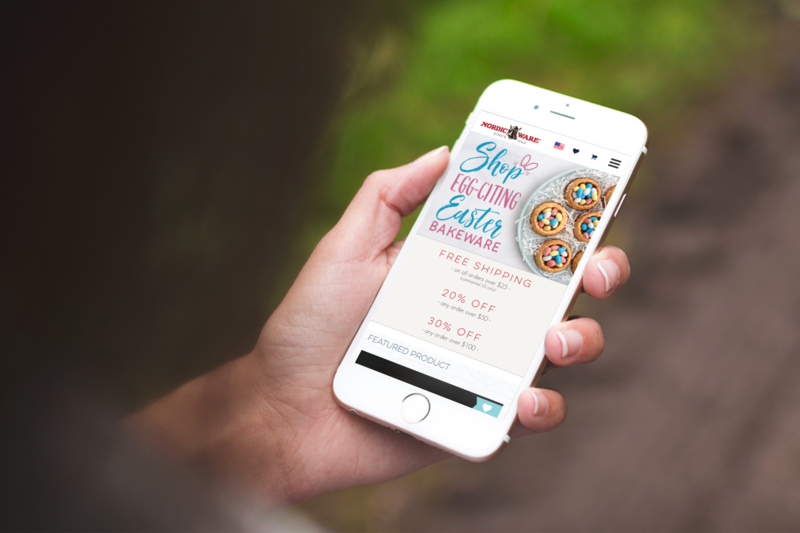 Nordic Ware contacted Snap for assistance with designing and developing a new Magento website that would generate additional sales opportunities from consumers and their distributor/retailers. There were a handful of challenges that were holding the client’s current site back. Firstly, Nordic Ware possessed a wealth of striking visuals centered around the brand, but their current site couldn’t utilize these assets properly. Nordic Ware’s site also suffered from poor navigation, making it difficult for potential customers to find their way to appropriate product categories. Last but not least, the former site wasn’t capable of incorporating social media content, inhibiting platform synergy and sharing opportunities. The Snap and Nordic Ware teams met to define and discuss potential solutions for these problems. Together, we determined that a new Magento build would be the best way to address the design and UX issues inhibiting the brand’s sales. 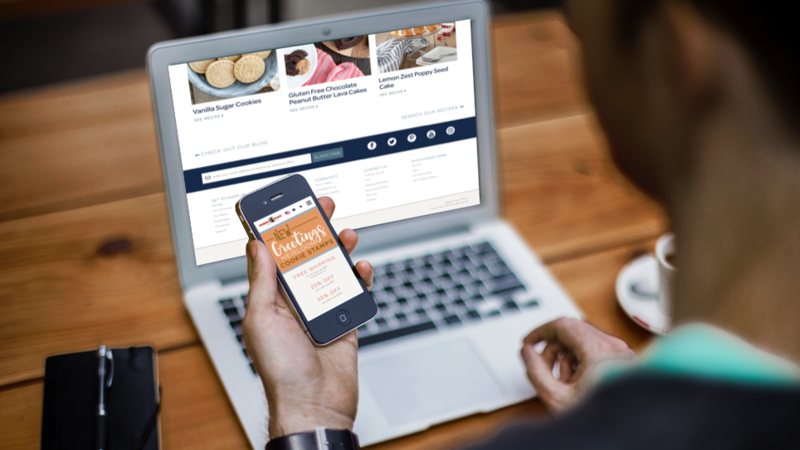 And with that, our task was set: Develop a beautiful responsive Magento website that leverages an efficient navigation, compelling design assets, and Nordic Ware’s exceptional product imagery to drive user engagement and conversions. Inspired by this challenge, Snap’s Design Team set out to tell Nordic Ware’s story visually through subtle and elegant design. To begin, Snap’s Design Team collaborated with Nordic Ware to create a unique customer journey for both consumers and their distributor/retailers, each with unique personas. This was resource that acts as a master blueprint for each site structure. Using this visitor journey mapping as a foundation, the Snap Design Team built out simple, user-centered wireframes that put the brand’s gorgeous product images front and center. 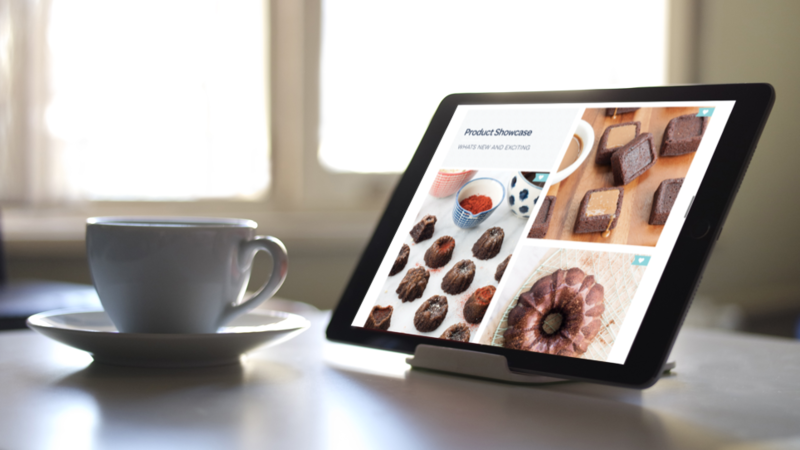 From there, we created an inviting, responsive design that prioritized effortless navigation and guiding users further down the conversion funnel to maximize sales. On the technology side, we implemented a variety of features and functionalities, ranging from Iglobal and Shipworks plug-ins to order history, product reviews and saved recipes. One of these additions was a “Favorites” feature, which allows users to keep track of favored products over multiple site visits. We also incorporated a gift registry functionality, allowing users to quickly and easily create a wish list of products in preparations for anniversaries, weddings, birthdays and other events. 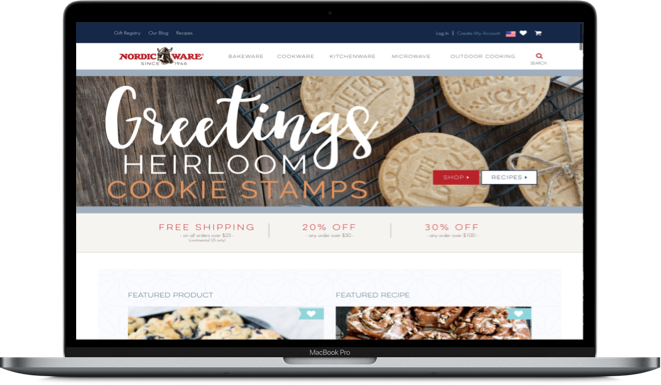 Within a matter of weeks, Nordic Ware’s new Magento site was fully designed, developed and released into the online world, fostering outstanding success for the visual e-commerce brand. The build came complete with full registry, configurable products and customer account features, making it easy for users to explore and purchase on the platform. After launch, Snap Agency provided ongoing support for the Nordic Ware team. Along with robust site speed, performance and search engine optimization efforts, we incorporated a range of additional site features and functionalities. Empowered by its new and improved website, Nordic Ware is further expanding its product lines, driving sales through exceptional visual assets and seamless user experiences.